Height: 4′ 6″ Weight: 27.3 lbs. 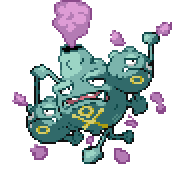 Description: Having grown an extra head, Haking can produce even more gas than Weezing. 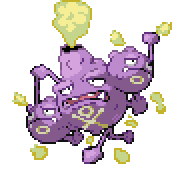 It will eat various rotten foods in order to produce its volatile gas.